Little known OC fact. We have an employee, Harry B. 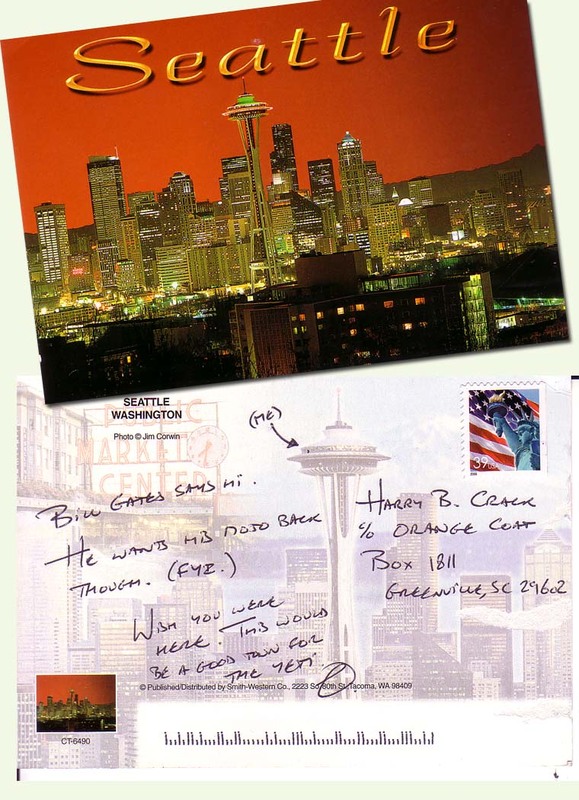 Crack, that handles all postcard correspondences. I'm good at digging up that sort of super-top-secret confidential information. I always want to make sure that any bit of mail I send out is addressed to the right person, and that I know how to spell their name correctly.